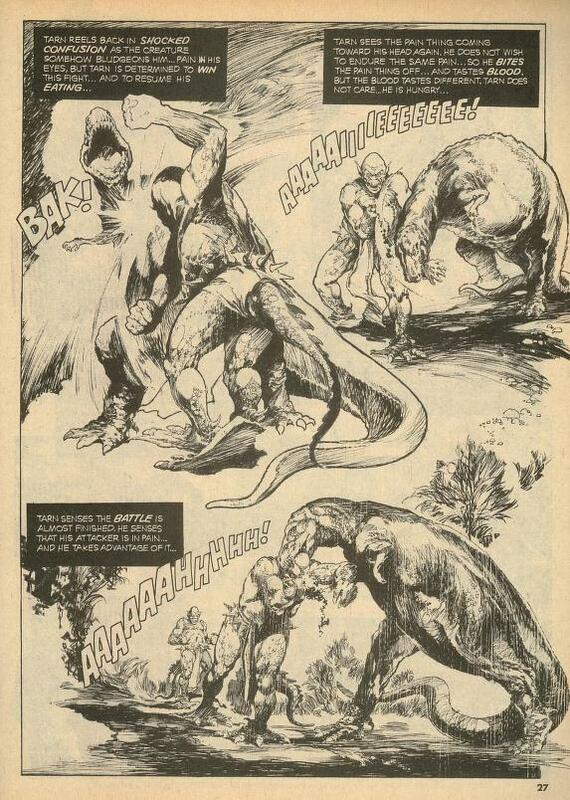 Dinosaurs vs. aliens! 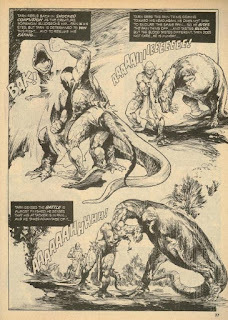 And the winner is...humanity? 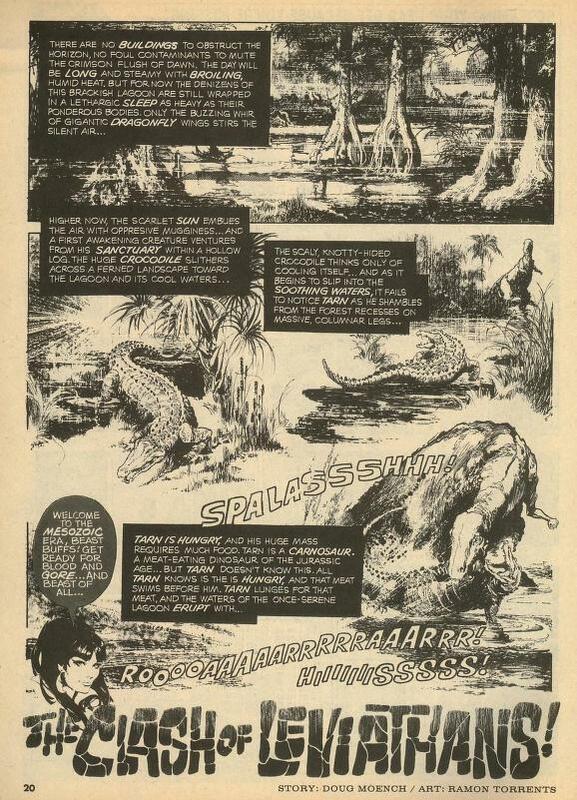 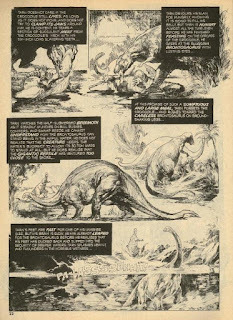 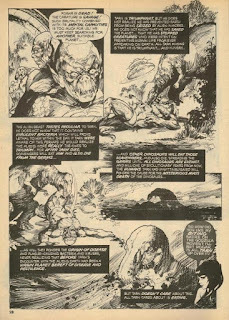 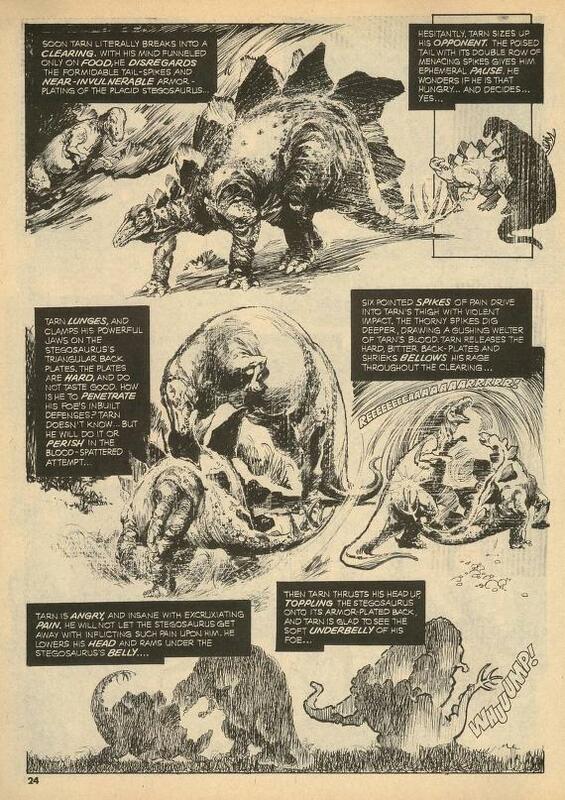 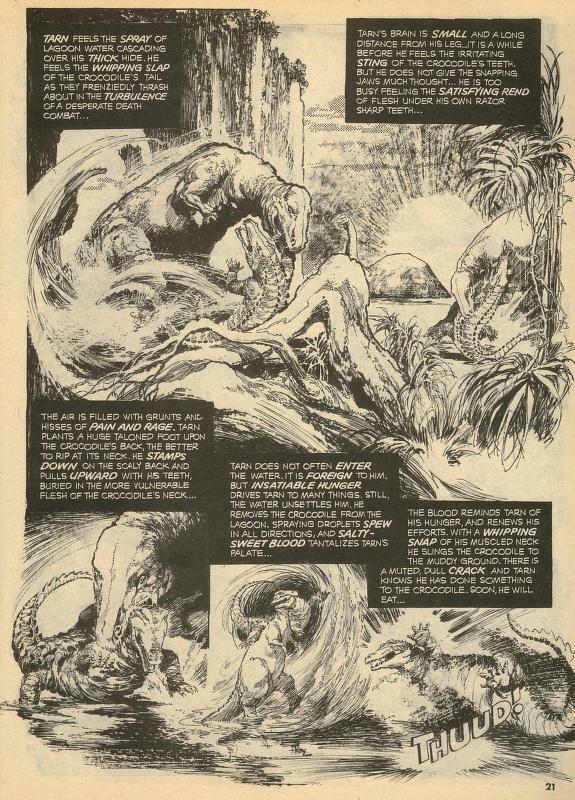 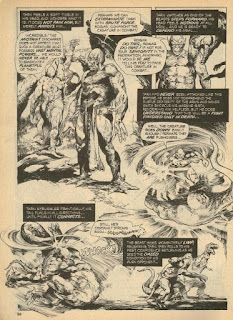 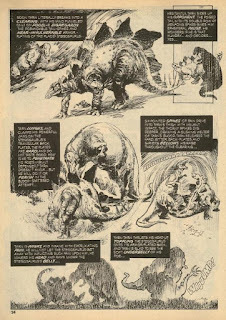 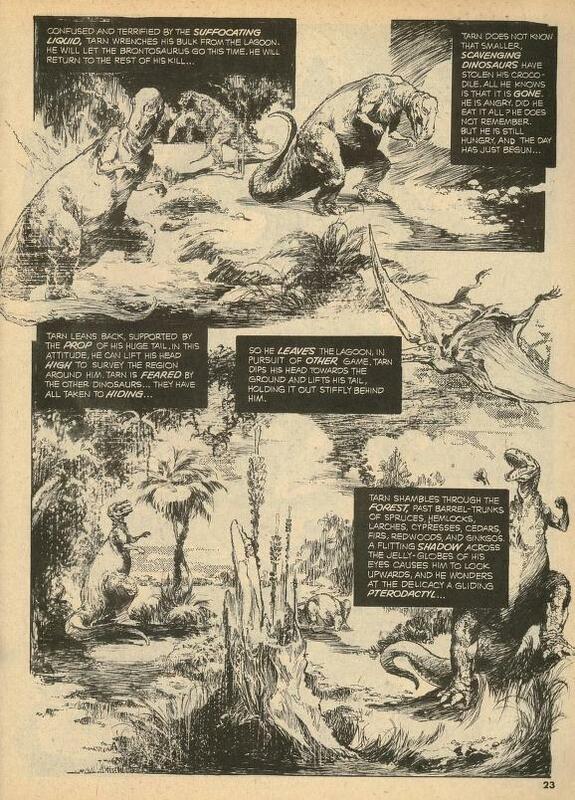 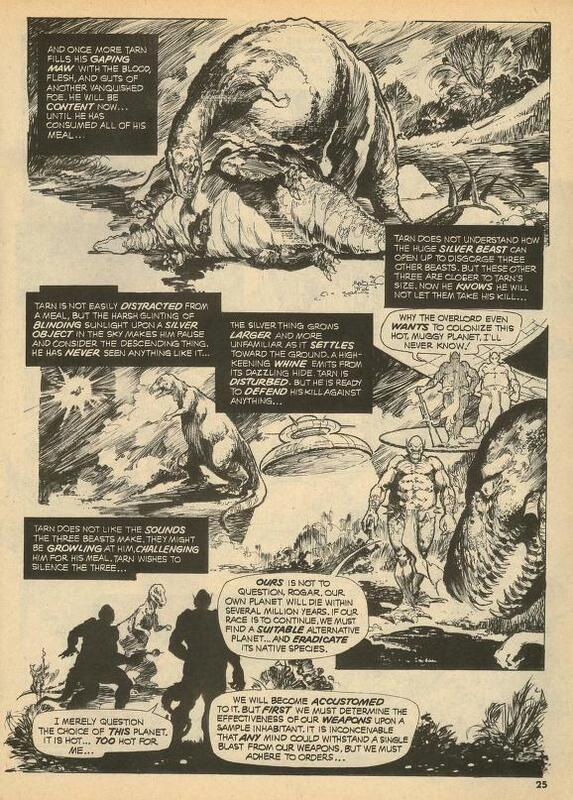 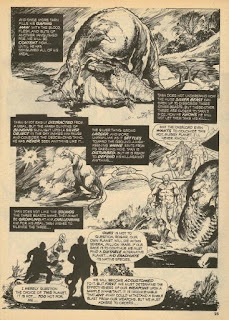 Doug Moench and Ramon Torrents give us the answers to dinosaur extinction and the origin of disease on earth with..."The Clash of Leviathans!" 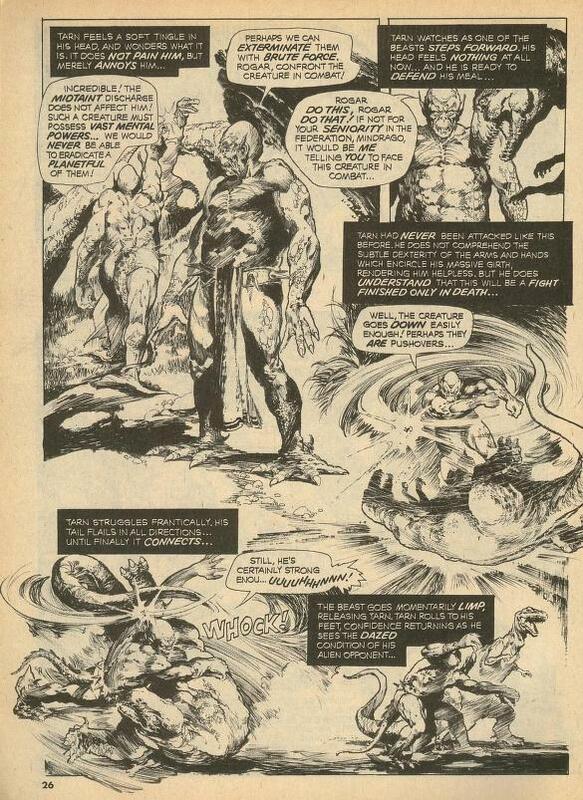 Pretty deep stuff for a Vampirella mag (Vampirella #28, August 1973, to be exact), huh? Interesting story. And with almost no presence of humanoids.